About 2 month and a bit before Christmas 2018. ....and what a year it has been! 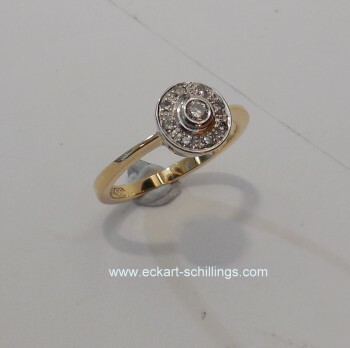 mainly manufacturing Diamond Jewellery with a few other Projects thrown in. It never gets boring as each Project is totally unique! that I created this year. This year I will work 6 x days a Week, Monday to Saturday inclusive. On Wednesdays I start later: 11.am! your Order by December 22nd. Diamonds and Gemstones can still be supplied until 15th December. written by Elaine de Wet for" Weekend Notes" Brisbane. 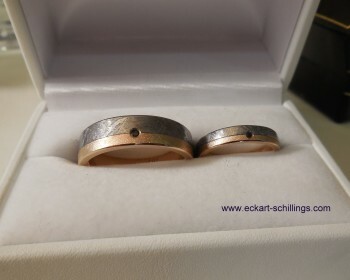 She looked at my Special service for Couples, making their own Wedding Rings in my Studio. Always nice to get some recognition for the work you put in. Actually, I really enjoy working with couples on their own Wedding Rings. It is such a great thing to do and never forgotten! Back at work on Monday 9th January 2017. Already finding the Order Book is filling for the upcoming weeks. 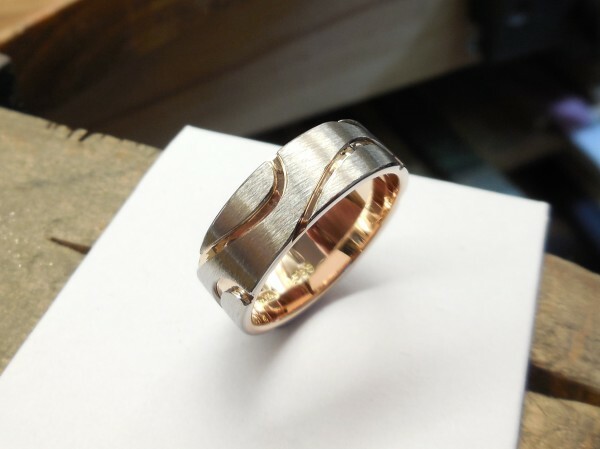 Re-modelling of old Gold is proving popular plus the making of bespoke Engagement and Wedding Rings. This prompted me last year to set up a separate website that deals exclusively with re-modelling of old Jewellery. The teaching part is also strong with my January Course now fully booked and the next Courses already half booked. I look forward to a busy New Year 2017 and meeting my old, and new Clients! Contact me for any of your New Jewellery Projects! Things are definitely heating up in the already busy Workshop. Currently finishing 1 x New Piece of Jewellery every Day with Clients coming in for pick-ups on a daily basis. Getting a Lot of Hugs from Customers for the beautifully finished Pieces of Jewellery that I have custom made. 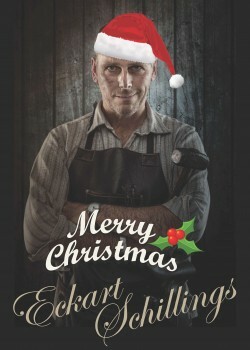 Will be working straight through from now until Wednesday 21st December. This is the last day to pick up finished jewellery. Will then enjoy a few Days off over the Christmas period and getting ready for a fresh start in 2017, creating more bespoke Jewellery. and preparations for the Christmas Rush are well on the way. Very busy and many fantastic Pieces of Jewellery were made. and have choosen me to create for them. 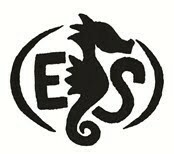 Now reporting a full Order Book for the December month. in a World of Mass Production and cheap overseas imports. This is the Engagement Ring I made for Andrew and Teagan. It was great to work for Andrew and Tegan. Jewellery Projects with my growing Group of repeat Clients. I will still continue to work as a "One Man Show" to keep up my Quality Level. Hope everyone has a peaceful Christmas and a happy New Year! Re-making and re-modelling of old Jewellery is a big Part of my Work. People bring or post to me old Gold Rings, Chains etc. 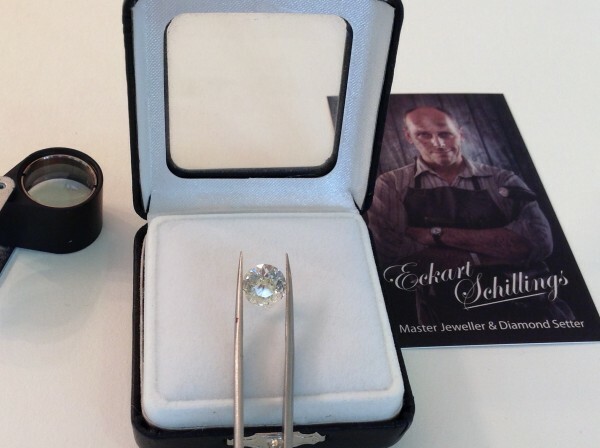 I take out the Diamonds, re-melt the Gold and create a beautiful New piece of Jewellery. Love the Challenge to bring back unused old Jewellery to be worn again. Old Gold that was passed down in the Family from Generations before. 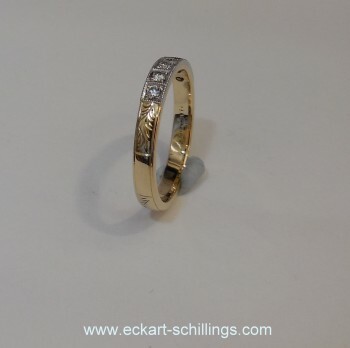 Contact me if you like to use your old Gold to create a modern New Piece of Jewellery that you will enjoy to wear. Below see some samples of Jewellery I made recently, using re-melted old Gold and old Diamonds / Gemstones. You decide what type of Jewellery you want to have made! A young Couple making their own Wedding Rings! Of all the different Things I do, this is one I really like a Lot! I offer interested Couples the opportunity to work with me for a fully Day in the Studio. Making their own Wedding Rings. What can be more romantic? Last week I had Ling and Timothy in my Studio. They came all the way from Singapore to make their own RINGS. A very complex Project, it was completed to Perfection. We worked well together and achieved a Lot. 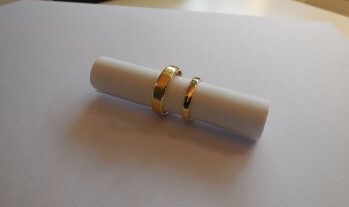 Contact me if you too, want to create your own Wedding Rings! Love the Projects my Happy Customers send my way! 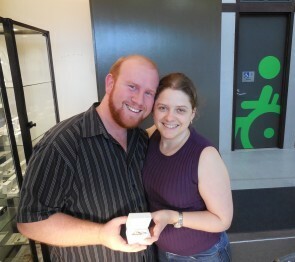 Recently had the Pleasure of making the WEDDING RINGS for Melinda and Matt. 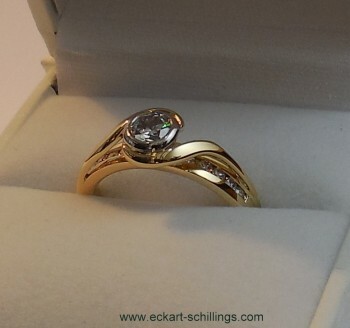 Her Ring was Vintage inspired with some very Fine Diamond Setting work and detailed Engraving. 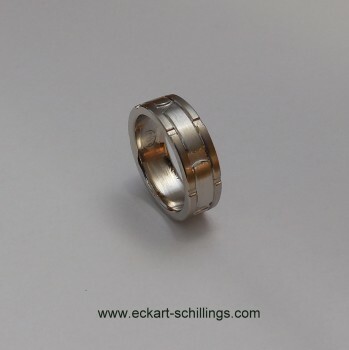 His Ring was bold and more contemporary, made in Palladium with white Gold Rails either side. 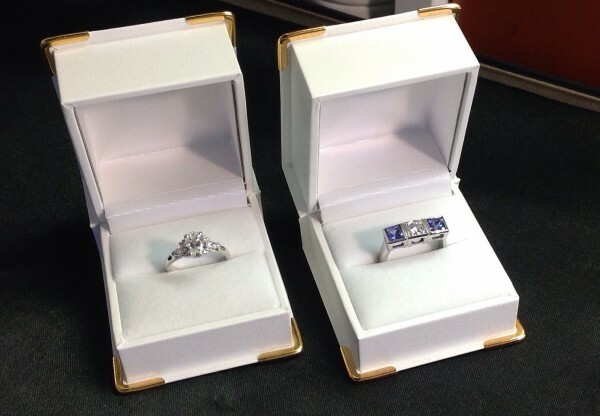 Both Rings came out perfectly and it was "smiles all over" when they came and looked at the finished Rings in the Glass Cabinet. I get a lot of Job Satisfaction out of making People happy! 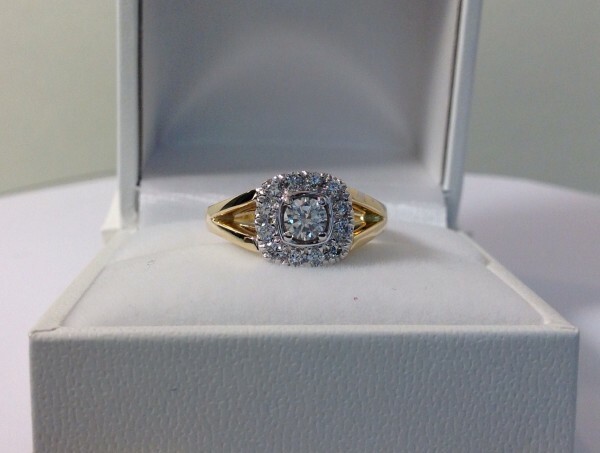 Contact me for your custom made Engagement and Wedding Ring Projects! After years of expanding my Internet Presence with an ever growing number of Niche Websites it is long overdue to build a Website that combines all my Activities in one Site. I still maintain my individual Websites, but my Focus is on running this as my main Website for years to come. 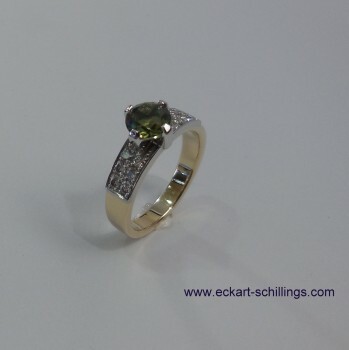 If you are in the market for custom made Fine Jewellery or Diamonds and Gemstones, get in touch. I love making unique pieces for my Clients in any of the Precious Metals. I have a great Reputation for Quality, Creativity plus a lot of Flexibility in making things happen that others cannot do. Personalised Jewellery requires a good understanding of what YOU Want! I take my time to understand this and have many ways to avoid misunderstanding when it comes to creating your Dream Jewellery. Apart from Drawings you can expect CAD Designs and sometimes even a Metal or Wax mock up of your Jewellery before I start to meke it in Gold / Platinum / Palladium or Silver. 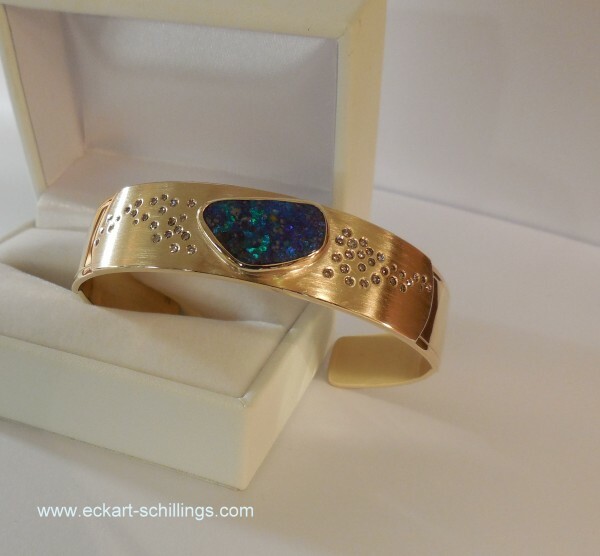 If you are interested in learning the Art of Gold & Silversmithing, I run regular Courses and Workshops at my professional Studion on the Sunshine Coast, Qld, AUSTRALIA. Some of the more adventurous Clients come and spend a day with me in the Workshop, actually making their Own wedding Rings. That is pretty awesome and I love helping people doing this successfully. How international my Business is these Days! When I opened my first Studio and Shop in 1984 the normal thing was to have the Retail Shop and serve the local Community. This was way before the Internet and a Fax machine was the latest technology everyone was getting into. Most of my Clients were indeed the locals and my suppliers were also local Businesses within the Country. 32 years later, today my work is a totally different ball game! With the Internet, my Websites and Skype, I now participate in a truely global Economy. This week I have been dealing with clients in Singapore, organised a Ruby from Africa via my 'Gemstone Spotter Person' in Bangkok. Another Client is looking for a Ceylon sapphire, medium blue, over 5ct which has just been delivered to be inspected in my workshop on the Sunshine Coast, Qld. 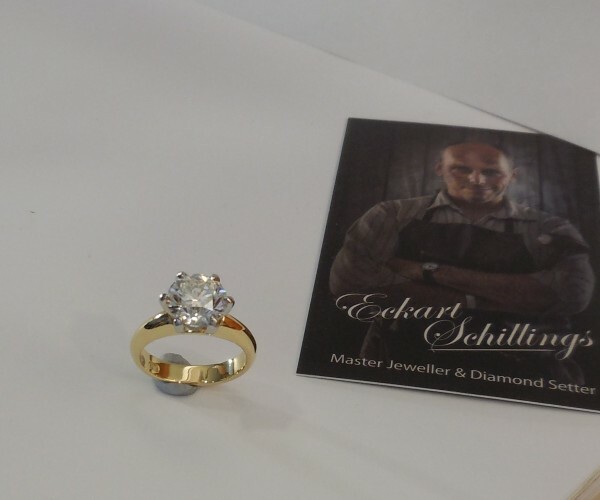 Then one of my American Clients dropped in for a visit and checking how his Diamond Engagement Ring is coming along. Last I spoke to a Client in Melbourne about a new project and to complete the international dealings I ordered some Jewellers machinery from my Asian Wholesalers and emailed my Italian supplier for a Rolling Mill order. It is totally normal for me today to pay for a Gemstone Order via PayPal, accept PayPal payments from overseas Clients and send Money to Suppliers using Western Union.